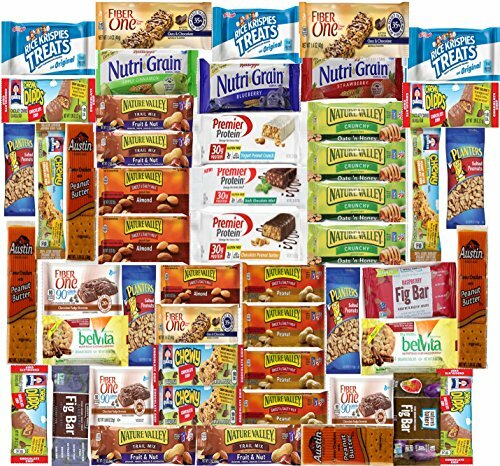 Ultimate Healthy Bar & Snacks Gift Variety Pack Bulk Sampler (Care Package 50 Count). Hand Picked Variety Snacks for every occasion. Select to send as a gift at checkout and include a gift message! All snacks are handpicked. On rare occasion items in picture are subject to change upon availability. Items do not come in manufacturer packaging, but all snacks are individually wrapped. Snack box of healthy foods to eat. This one box makes Healthy Eating Habits a no brainer. Order one now for yourself or a health eater in your life. If you have any questions about this product by LA Signature, contact us by completing and submitting the form below. If you are looking for a specif part number, please include it with your message.